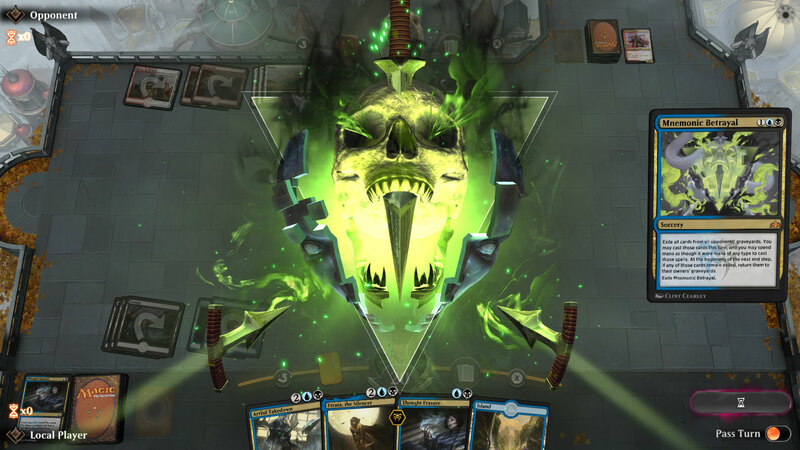 Live at The Game Awards, Wizards of the Coast announced that they're expanding Magic's pro scene with a huge eSports push. Arriving in 2019, Wizards is putting at least $10 million into the program with a prize pool centered around Magic Arena. There's a lot to unpack here. First off, Arena is still in beta but is widely expected to be their only digital format going forward: focusing their previous strategy of random Planeswalker games alongside the aging Magic Online. I repeat, it's still in open beta and Wizards is throwing that much money at it. It could seriously challenge Hearthstone and any other leading digital card game for supremacy with the right backing, which it seemingly has as of today. The Magic Pro League will now offer $75,000 streaming and play contracts for "top-ranked" players, with weekly match-ups in Arena that lead to "Mythic Championship events." Those will be bundled into tabletop Magic competitions with the first big one taking place at PAX East next year for a $1 million prize pool. Again, this could herald a huge shakeup for the digital card game space. As Wizards points out (with new numbers) there are "over 35 million Magic players to date across 70 countries," so there's already a baked-in audience.